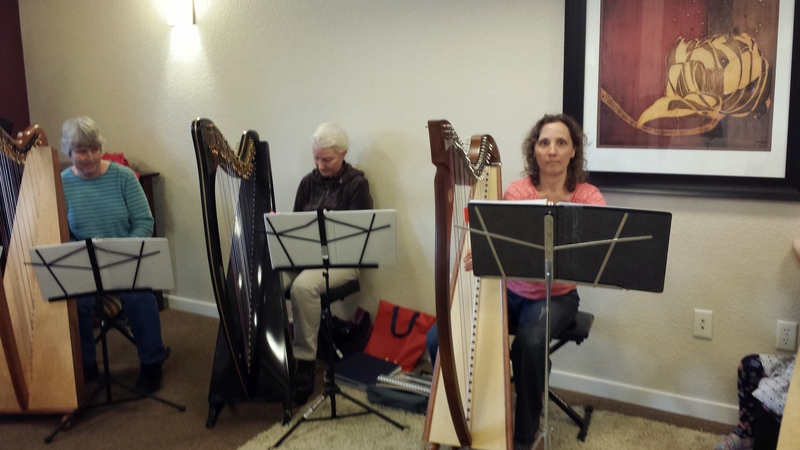 Upcoming concerts, performances, retreats, workshops, and other harp events in and near the area you won't want to miss will be posted here. Be sure to check back often! Touring through Montana this May 2019! Visit their website(s) for more details and a full tour schedule! 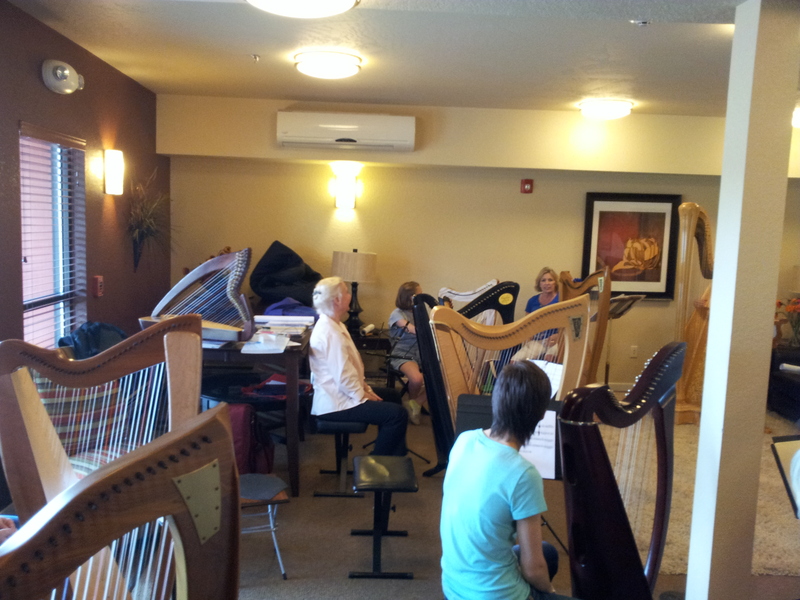 2019 Harp Retreat in September! 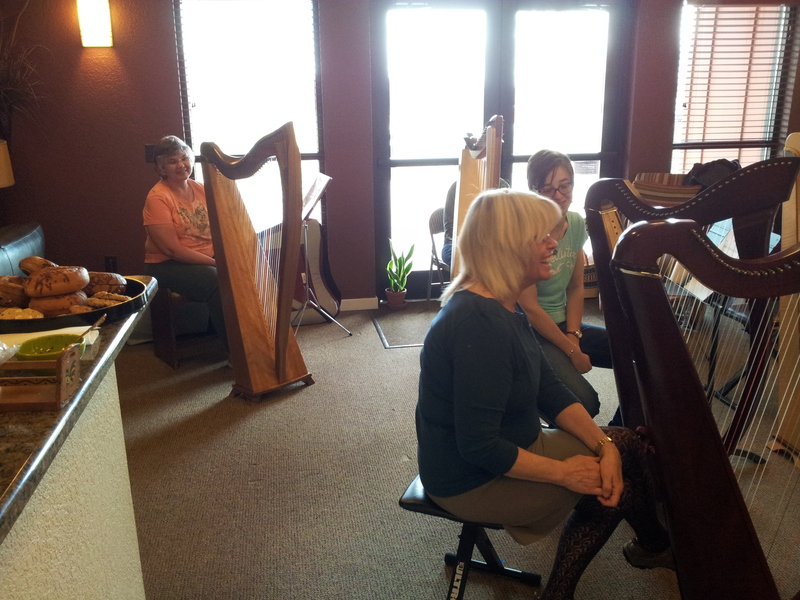 The 2019 Harp Retreat is in the works. Save the dates: September 27 and 28 (29th TBD) in Missoula at the Best Western Grant Creek Inn. The featured artist this year is Kim Robertson! 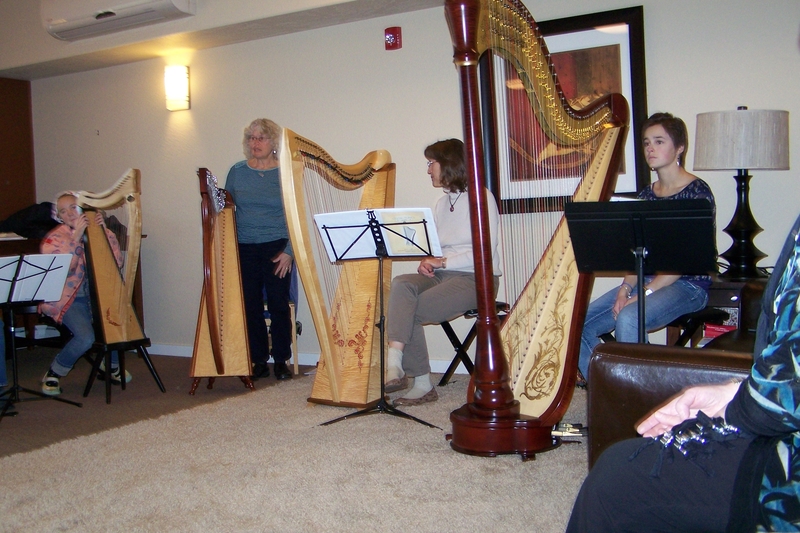 Visit the "2019 Harp Retreat" page to check for updates and more details as they become available! Workshops included: "Swedish Tunes for All Instruments", and "Playing By Ear"
The BSHS once again had a harp tent at the 2015 Bitterroot Scottish/Irish Festival in Hamilton, Montana. We spoke to many passers by about the fun of playing harps, and many had their first experience of playing a harp! 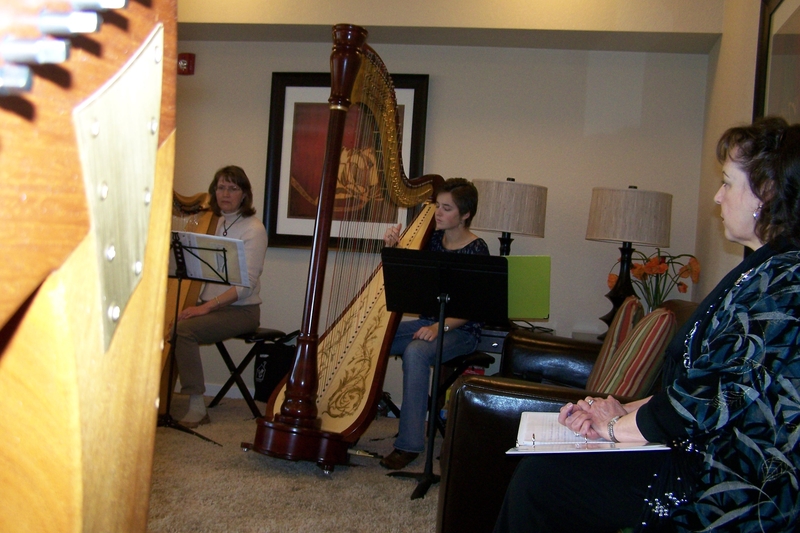 Several of our members offered music at various times. Workshops included: "Elements of Arranging", "String Tying, Harp Tuning, and Harp Maintenance", "Music Theory and Improvising", as well as private lessons. 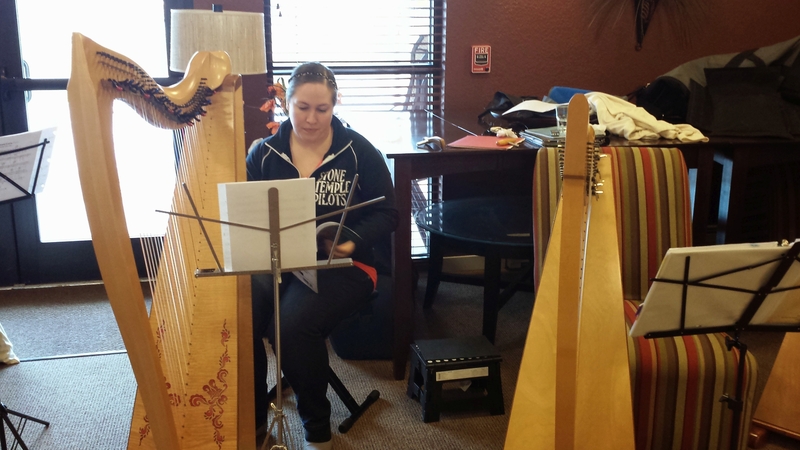 Kalispell area harper Katy Meyers has been delighting and comforting patients and staff with her therapeutic harp for several years, and her skills caught the attention of the Montana Woman Magazine. She was featured in their June, 2015 issue, and Montana Woman has graciously given us permission to attach the article below. Be sure to check it out! 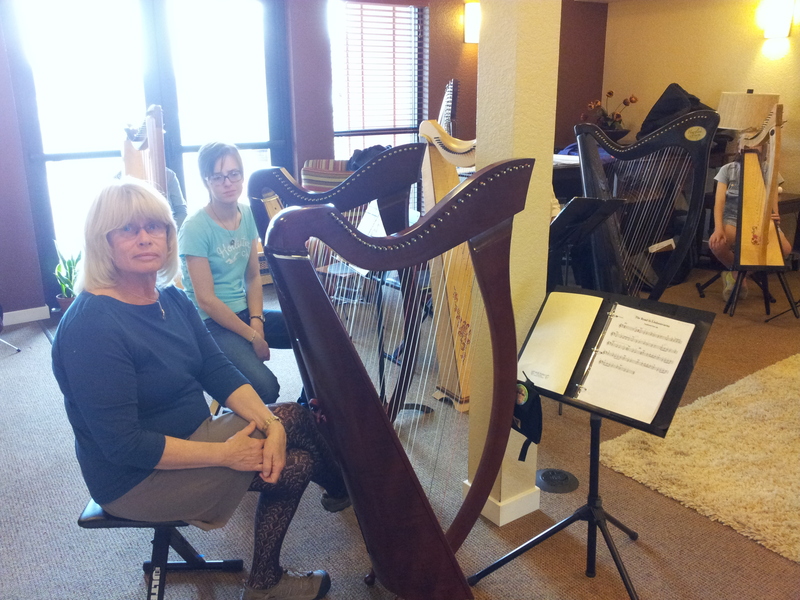 Mary Stevens, local harp therapist in Havre, Montana, has been appointed to the Representative Council of the National Standards Board of Therapeutic Musicians (NSBTM) as the representative of Vibroacoustic Harp Therapy® (VAHT). The National Standards Board for Therapeutic Musicians (NSBTM) consists of leaders in the therapeutic music field. The NSBTM defines the Courses of Study, Scope of Practice, Code of Ethics and other rules of conduct for the certified therapeutic musician. The practice of the therapeutic musician is to use the intrinsic healing elements of live music and sound to provide an environment conducive to the human healing process. Vibroacoustic Harp Therapy® (VAHT) uses live harp music in combination with a vibrotactile device (usually a chair, table or pillow) to vibrate and resonate with the tissues of the body, thereby affecting physiological processes. It also affects the mental, emotional and energetic or spiritual aspects of the individual to promote inner healing. 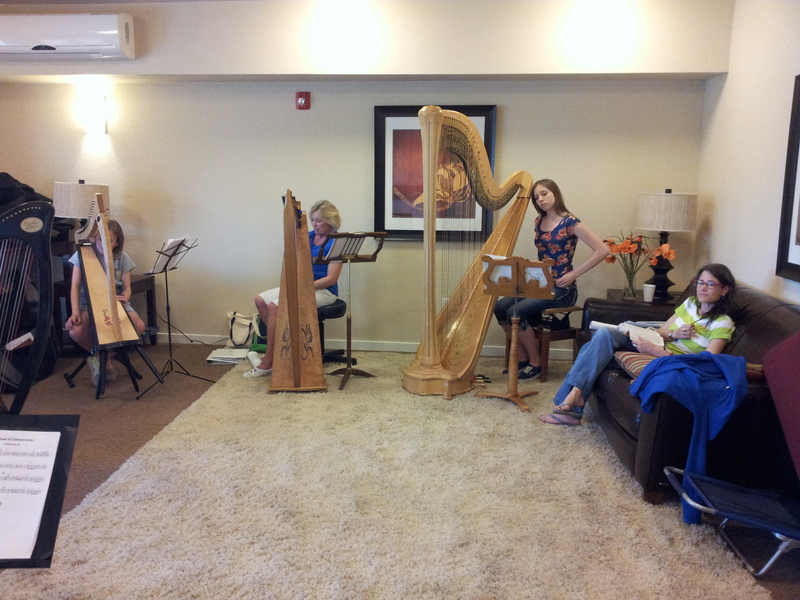 Stevens practices therapeutic music and VAHT in the Northern Montana Care Center in Havre, the Liberty Medical Center in Chester, and through her private music studio in Havre. She also plays live therapeutic piano or harp music in the lower level of the Atrium mall during the noon hour on Wednesdays. 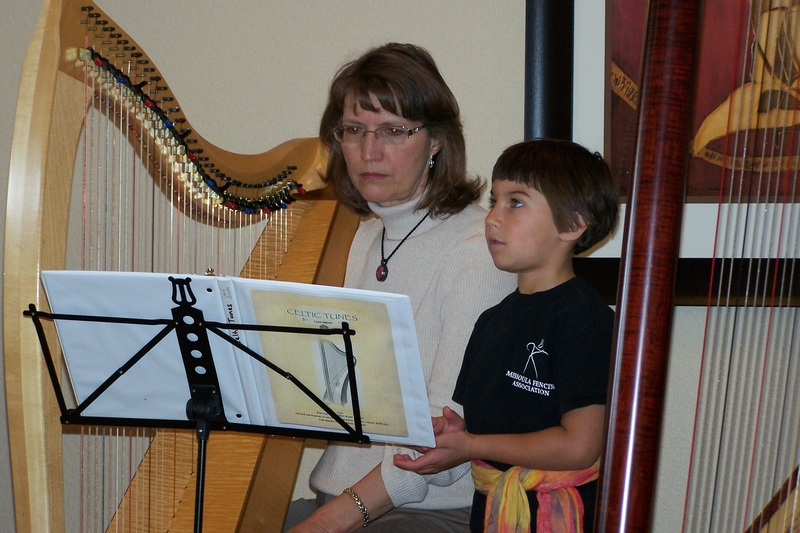 She is a certified graduate of the Harp for Healing, Vibroacoustic Harp Therapy, and International Harp Therapy training programs. 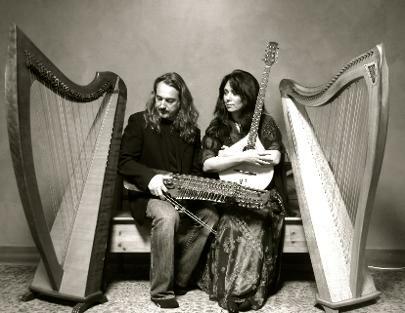 The Heavenly Harp Duo (www.heavenlyharp.org) is welcomed back for a second concert Friday, June 20, at 7:00 p.m., at St. Paul Lutheran Church, 202 Brooks Street, Missoula. 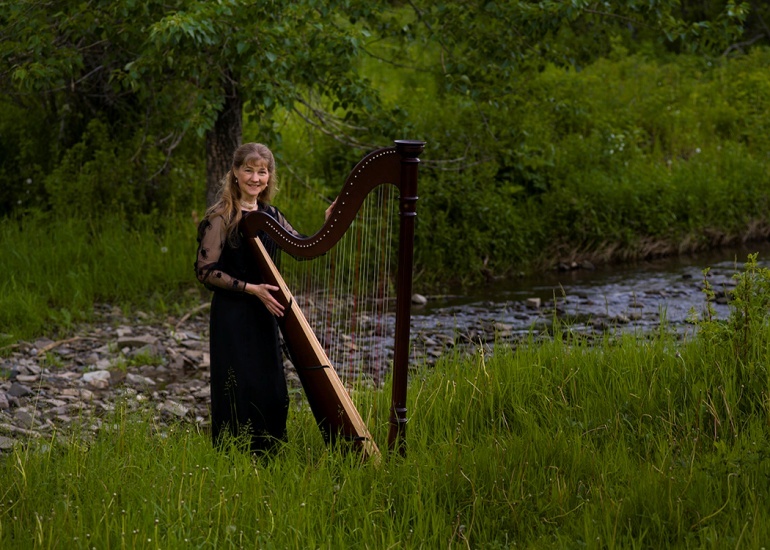 Two-time concerto winner, harpist Joy is a graduate of the renowned music school, St. Olaf College, in Northfield, MN where she studied with Minnesota Orchestra harpist, Kathy Kienzel. Her beautiful six-foot high Concert Grand pedal harp adds a touch of elegance to any occasion. At St. Olaf College Joy earned the highest academic and music scholarships. 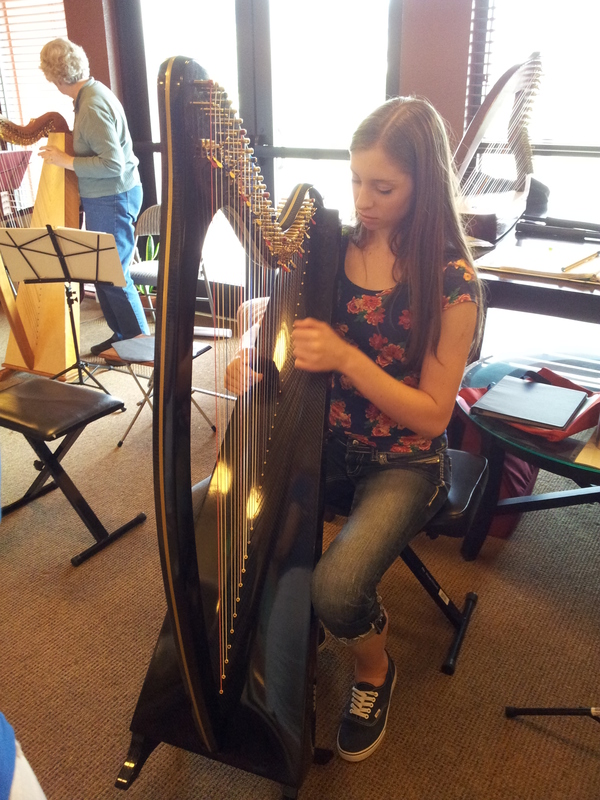 She had the honor of being chosen to be the St. Olaf Orchestra harpist in her freshmen year. Joy played in both orchestras simultaneously and sang in the St. Olaf Choir. She studied harp, organ, voice and piano as part of her Church Music Major. 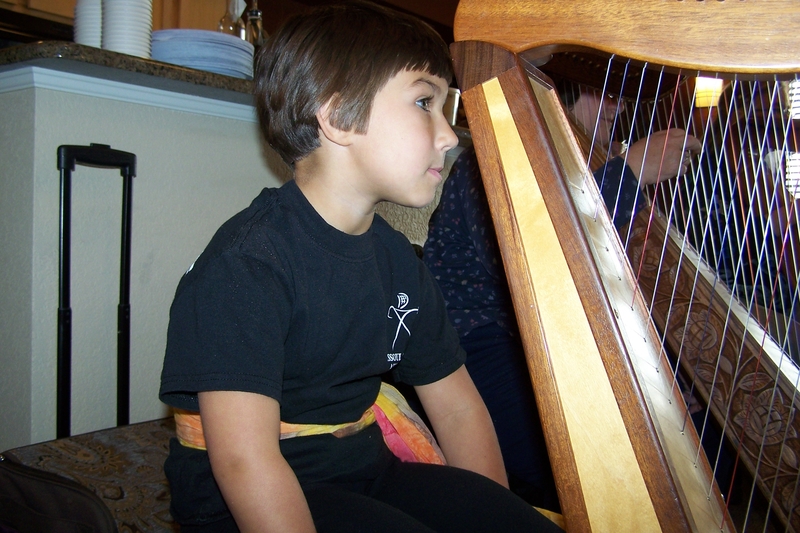 Karin plays a 4-1/2 foot high celtic harp. 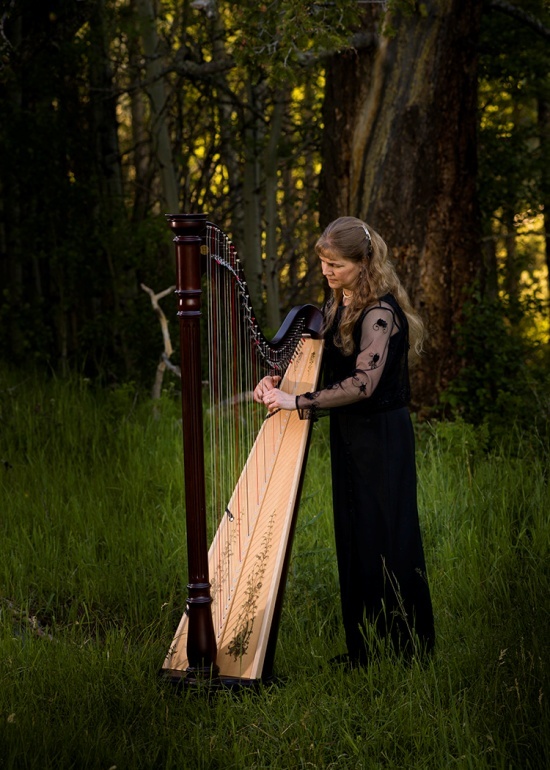 As a hospice harpist for eleven years, Karin has developed a wide ranging repertoire from classical to popular love songs, Christian music to Latin American, Celtic, and country western. Karin likes using ethereal music to relax your audience as they await your entrance. 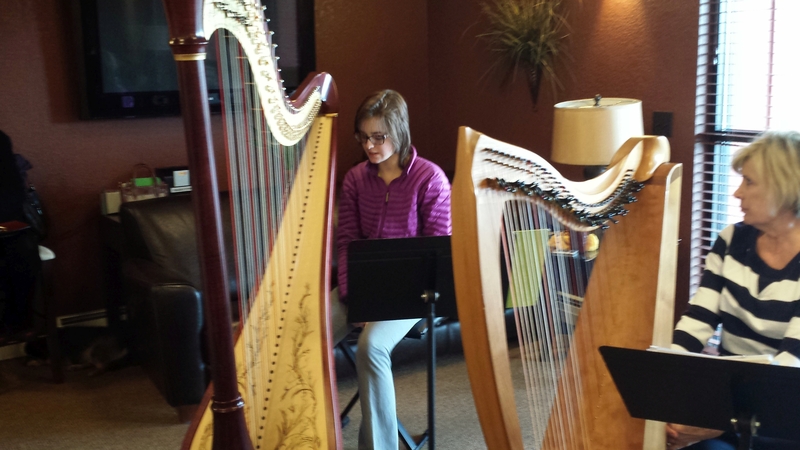 A music graduate of Concordia College, Moorhead, MN, Karin is an accomplished vocalist, harpist, pianist and flutist. 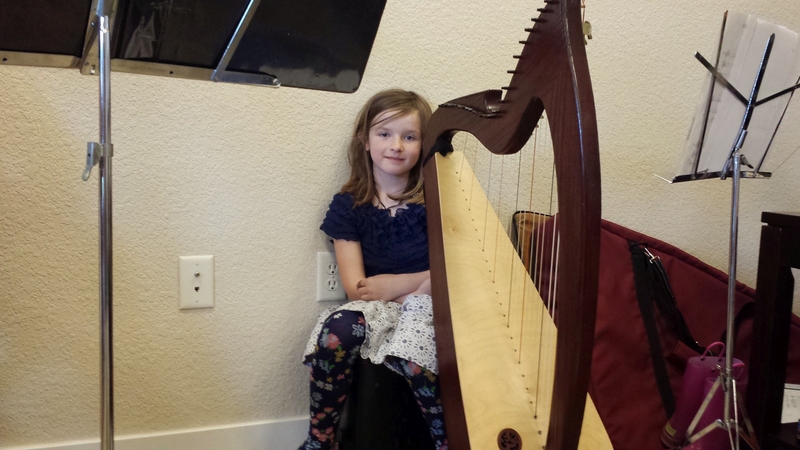 Like Joy, Karin loves to sing as she plays her harp and will warm the hearts of the audience with her pure, sweet voice. We received the loveliest thank-you note from the folks at Boulder Hot Springs, who hosted our first annual retreat in September. You can view it to the right. Be sure to check out the Boulder Hot Springs Resort at www.boulderhotsprings.com and in person!